Tatarstan Investment Development Agency, Ericsson and MTS companies signed a tripartite agreement on establishment of Scientific and Research Center on the territory of Tatarstan for creation of innovative products and solutions based on 5G and IoT (Internet of things) technologies and withdrawal to the Russian and global markets. 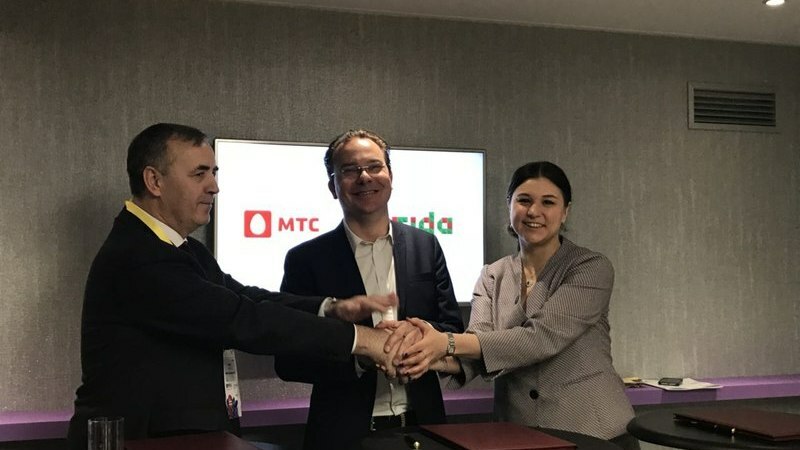 The agreement signed by the companies on the international exhibition Mobile World Congress 2018 in Barcelona in the frames of strategic cooperation in the sphere of 5G provides the establishment of the joint Center for research and development at existing infrastructure of MTS in technopark "Innopolis" in Kazan in the second quarter of 2018. At the first stage, the Center will focus on developing solutions for "Smart city" for the needs of Russian cities. The work of the Center will involve the staff of the company: developers, engineers, business analysts and specialists in business development. MTS will provide the Center with space, data center facilities, network infrastructure to conduct examinations, skills and resources of the existing Center of Innovations and recently established by IoT-lab, while Ericsson will supply cloud and telecom technologies (Ericsson IoT Accelerator, Massive IoT decisions to develop NB-IoT technologies), global expertise as well as access to the ecosystem of partners, startups and universities including consulting support of Ericsson Garage incubator and Ericsson Business Labs all over the world. "Today Tatarstan is one of the entry points to the Russian market for foreign companies. There is a ready world-class infrastructure. International schools, unique international university of information technologies, world sports events, first place for the investment climate in the country for three consecutive years. We even have a city of information technologies "Innopolis". It's not surprising that such reputable large companies as Ericsson and MTS have chosen the Republic of Tatarstan to place our joint research center. So this was a tripartite arrangement. Here in Tatarstan, the best conditions for work of the new research center will be created for the companies. We create the epicenter of developments in the sphere of information technologies", - the Head of Tatarstan Investment Development Agency Taliya Minullina commented the signing of the agreement. "MTS is preparing its network for introduction of 5G technologies. To do so, we conduct a research both by the efforts of our specialists and in partnership with key suppliers, testing new solutions. Today we have reached a new stage of technological cooperation with Ericsson. The creation of the joint R&D center will visibly enhance introduction of innovation products to the market. We hope that the research work of both companies will help to introduce our joint elaborations not only to Russian but also to the global market. MTS has all the necessary skills and experience of creation of innovative products based on its own center of innovations and Internet of Things lab", - the Vice President of MTS for Procurement and Administration Valery Shorzhin noted. "The creation of the Center for Research and Development in Innopolis together with MTS is a new stage in our strategic partnership with MTS in 5G sphere. Ericsson will provide its latest 5G and IoT technologies, global expertise and access to the global ecosystem of partners and universities, and also support in the leading Ericsson labs all over the world. The Center in Innopolis will become a part of the global R&D program of Ericsson on creation and bringing IoT innovation to the Russian and Global market", - the President of Ericsson in Russia Sebastian Tolstoy stated. At an early stage both companies will create a working group and technological infrastructure of the Center. In cooperation with the local partners, universities and startups a number of hackatons will be held and the initial concepts for "smart city" projects will be developed, after that the joint commission of MTS and Ericsson will define the most prospective ideas for creation of products' prototypes. According to the test results, the companies will chose the most impressive and innovative solutions for practical implementation in 2019. The signing of the agreement was preceeded by extensive work of Tatarstan Investment Development Agency for almost a year. Previously, the decision to establish its own R&D center in Tatarstan was made by "Schneider Electric" company. Let us recall, in the Strategy of Tatarstan-2030, the information technology industry is identified as a priority.